Rhona Potgieter has recently joined us as Medilink Operations Manager to head up the team responsible for the deployment of remote medical services worldwide. Rhona brings with her nearly two decades’ hands-on experience in Tanzania, East Africa, organising remote medical and medevac services across this vast country. She brings invaluable insights to both our clients and in-house teams on the realities and exigencies of working in Africa. 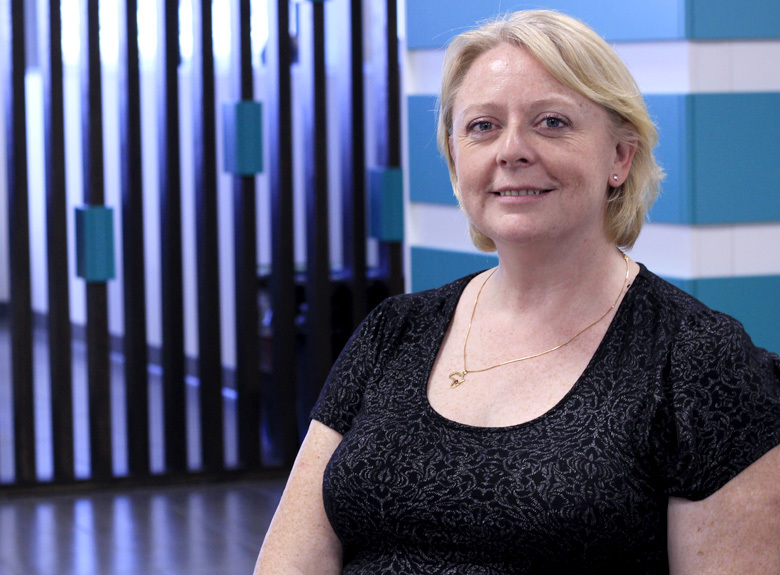 Earlier in her career, in her native Scotland, Rhona tackled a variety of demanding managerial and administrative roles with a regional health board. We are taking this opportunity at the start of Rhona’s appointment as Medilink Operations Manager to talk to her about how she got into medical services and the changing face of deploying remote medical services in East Africa. Tell us about your early career in medical services? I suppose during much of my career I have had the good fortune to be in the right place at the right time. In my mid twenties, I had no idea which career path to follow. I happened to take up a PA role with the director of nursing for community hospitals in Oban, on the West Coast of Scotland, and realised fairly early on that the medical sector could provide an interesting and diverse career path. I started my medical services career with the region’s health board, working from the ground up, in the trenches, moving through various specialist hospital units from geriatric to maternity. I was later offered the opportunity to be Commissioning Officer for a new, 138-bed state hospital. This was a challenging role that saw me working from the initial planning stage of the hospital’s development to seeing it welcome its first patients. A few years later, I found myself as Decommissioning Officer for the same hospital. That was a tough time for me, having been there from the start of its life, but I grasped the role and ran with it to its conclusion, ensuring a smooth and advantageous sale of property and removeables. My final role in Scotland was as Support Services Manager. What took you to Tanzania? After the large hospital experience, I realised that I wanted to take some time off to travel, and again, by chance, I was offered a job in Dar es Salaam. There, I found myself managing a new hotel, which while a side-step from the world of medical services, drew on my managerial and administrative experience and interpersonal skills. I appreciated the chance this role gave me to understand the nuances of managing a multinational team and to learn about new cultures and ways of working. Following this position, I moved to another similar management role in the city, this time in retail. However, after two years away from the medical sector, I realised that I wanted to be back in the thick of it, organising emergency and paramedic services; a sector that requires a special kind of commitment given its unpredictability and round-the-clock duties. Nowhere would be more challenging than being involved in medical services and supplies than in a vast country like Tanzania, with its remote and difficult terrain, including the Kilimanjaro National Park. It took a chance diving accident of an acquaintance to bring me face to face with emergency paramedics, and it wasn’t long before I was engaged by a local medical evacuation provider operating from Dar es Salaam. Given your Africa experience, can you give us some insights into the running of remote medical services there? My 18 years’ operational experience in Tanzania, where I happened to work alongside Medilink, has given me a full overview of the entire process and the realities of deploying remote medical services. I’ve realised over the years just how important it is to have constant contact with trusted providers on the ground. A critical part of my role here in operations is to ensure we are on the same page with locally-appointed correspondents and the medical staff we’ve deployed around the world. Medilink fosters a culture of open-door, direct communications with our teams; planning for and dealing with emergency situations demand no less. 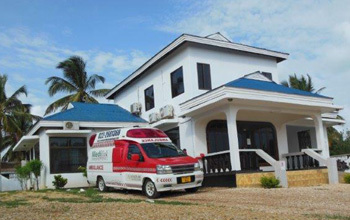 Medilink is active not only in Tanzania but also in the wider East African region and further afield on the continent, providing a full complement of remote medical and medevac services. We draw on international-standard and suitably accredited local services and suppliers such as paramedics and other emergency service staff, wherever and whenever possible. This makes sense for international operators like Medilink as we can deploy services quicker by sourcing locally, and also in terms of skills transfer and the employment of trained medical personnel in the country. Medilink operates strictly within the stipulated requirements of any country in which we have a presence, and we are aware of the sensitivities of supporting our multinational clients in regions which have distinct legal jurisdictions and cultural traditions. As a newcomer to the Medilink team, what strikes you most about the company? What struck me most in my first weeks here is everyone’s natural willingness to work as a unified team; one that has a place for individuals’ voices to be heard. Medilink operates globally but the personal culture and atmosphere is one of a close-knit team of top professionals who not only know their roles and responsibilities but also understand and feel comfortable voicing their opinions on various aspects of the company’s operation. Everyone’s contribution is valued and respected. For example, we hold team discussions on each client brief. The team is involved in not only working out what will fulfill the brief but also go beyond it, by pre-empting issues that might not have been spelled out. We invite comments from the team; for instance, if a client has four sites but requests one doctor, we collectively go over the permutations, including the offer to train local medical staff to ensure the sites have the required cover. Having worked in so many other medical situations during my career, I can honestly say that the marriage of personal flexible approach coupled with the intense professionalism that is brought to each client project is, to my mind, what singles Medilink out in its sector. I feel lucky to have once more been in the right place at the right time and to be taking up this role among such incredible colleagues. Briefly, I’d say that what excites me most are the opportunities to continue to learn and grow with a company that is making waves in its sector. I am excited to be working closely with colleagues here at HQ, including Dr Nuno Cosmelli who has extensive experience in Africa. Together, we are aiming to bring internationally-recognised and -accredited courses in Emergency Medical Training to our counterpart teams overseas, particularly in Africa. Finally, I like to say that the possibilities for personal development here with Medilink are endless. The company has a constant stream of new projects and business strands. I may have moved ‘out of Africa’, but I can keep closely involved in the continent while stretching my horizons to work globally with a motivated and supportive organisation.